Launch, brand, and market your small business, even with no prior business experience! 90% of startups fail, and one of the reasons is not having a clear short and long term strategy with clear goals. The steps in the book will help you not to make this mistake. You will learn how to start your business with a plan that is easy to implement and follow, so you can spend your time in a focused way, and bring in clients. 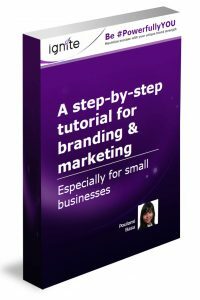 Download your Brand & Marketing Tutorial now, & start growing your small business!